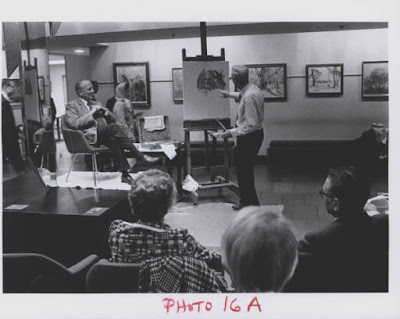 Through the photo archives at Lehigh University we were able to get some pictures of the master painter at work and various events around campus. 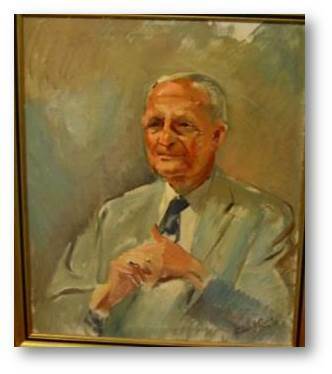 The first shows Quirk at work in1973 painting Mr. George Fearnside Jr.. A photo of the final result is below. 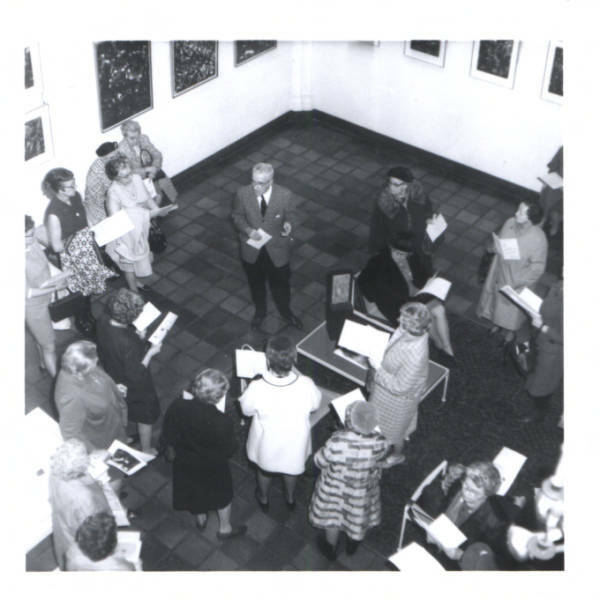 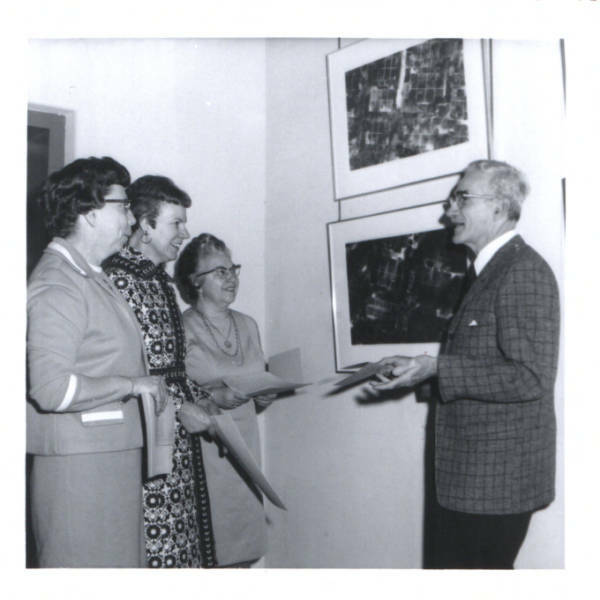 Below are several photos of him at the 1973 exhibition of his work at Lehigh University.